Danielle Rothchild is a senior at Carmel High School (CHS) in Indiana and will be pursuing her postsecondary education at Purdue University with a $10,000 scholarship. She attributes her growth as a leader to her experience in Career Technical Education (CTE) classes and the Family, Career and Community Leaders of America (FCCLA) program. At CHS the family and consumer science courses count towards the Career-Technical program sequence. Five out of seven of her classes this semester are family and consumer sciences (FCS). Family and consumer sciences courses provide learners with skills to impact society in areas such as work and family, health care, child and elder care, hospitality, global economics and education. CHS provides an array of FCS course offerings in the following career pathways: education and training, hospitality and human services, architecture and construction, business marketing, and health science. During her freshman year, she learned about FCCLA and was interested in participating in the Students Taking Action with Recognition (STAR) events. STAR events are competitions in which members are recognized for proficiency and achievement in projects, leadership skills, and career preparation. 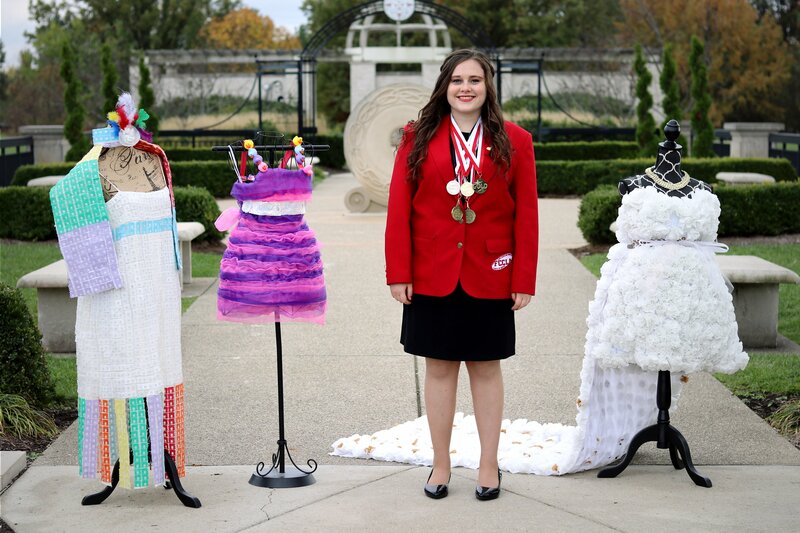 Danielle got involved with FCCLA to engage her competitive spirit and is now the chapter president. For three years she competed in the Recycle and Redesign event where learners use their recycling and redesign skills from the family and consumer sciences courses. Participants select a used item to recycle into a new product. Her first year she created a dress out of shower loofahs, the next year she used cupcake liners and her junior year is when everything changed. She decided to create a dress out of bread tags. Danielle used 5,000 tags for her project and had 40,000 bread tags left over. She decided to research how others are using bread tags and discovered a foundation in South Africa called Bread Tags for Wheelchairs that collects and sells bread tags for money to buy wheelchairs for people in need. She reached out to the organizer to learn more. In the spring of 2017, Danielle brought this idea to life. She started a nonprofit organization called Danielle Cares for Chairs. She recycles bread tags and uses the money to buy mobility chairs for those in need. Her collection stands at nearly two million. The process she uses for this project is to take bread tags to a recycling plant and use the proceeds to buy others mobility products. Danielle understands that any vision cannot be brought to life on its own. She has continued to raise awareness about her organization and gaining support leading to the creation of collection points in twenty-four states and Canada. She also has several colleges contributing to her efforts. To date, Danielle’s collection of two million has enabled her to purchase five mobility cars and/or wheelchairs. She recently organized an event to create the world’s longest bread tag chain and was featured in the Scholastic Choice Magazine as one of three planet heroes making a difference. Danielle has continued to create community events and received attention from media and grant funding from organizations such as Disney. Watch as Danielle delivers these items to children here. As she is quickly approaching graduation her vision for the future is to continue managing the non-profit throughout her college experience. Danielle will be attending Purdue University and wants to focus on learning about business. Danielle believes she has gained the skills needed to be successful – from managing her finances to presentation skills – because of CTE courses. 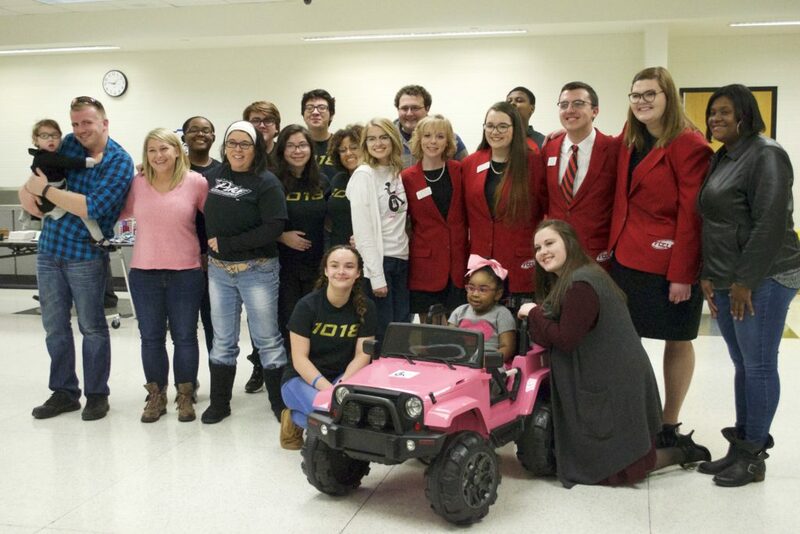 She recently traveled to Washington, DC for an FCCLA event to lead a session on community service and will head to Nationals in Atlanta, Georgia. This entry was posted on Monday, May 14th, 2018 at 10:15 am	and is filed under Uncategorized. You can follow any responses to this entry through the RSS 2.0 feed. Both comments and pings are currently closed.